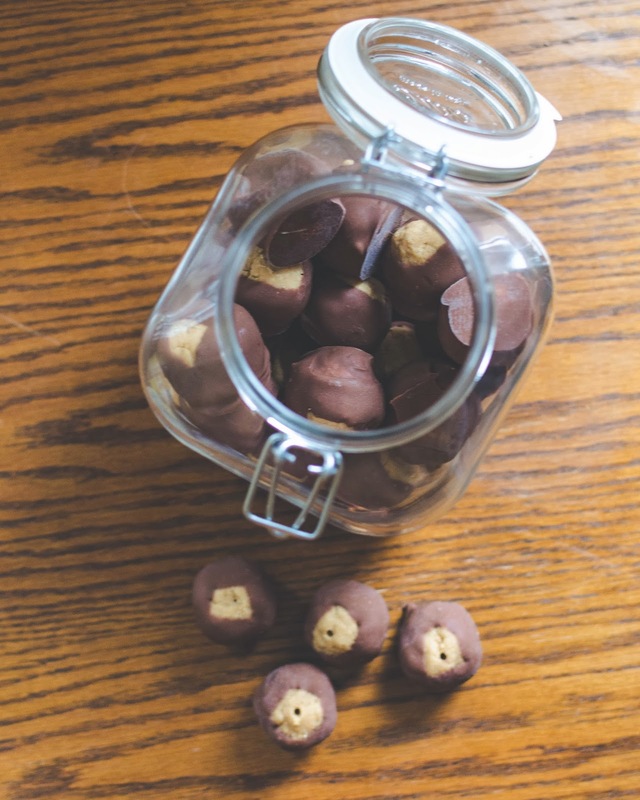 These little truffles are "puh-fect." This past weekend was certainly the start of my "holiday season," as my immediate family got together with my grandparents and my aunt's family to celebrate my mother's birthday down in Nashville (with traditionally Southern red velvet cake, of course). Nick joined us, and I'm pretty sure his height at six-foot-five inches really impressed my five-year-old cousin, who dubbed him the "puh-fect man" with his little-kid accent. Talk about a mancrush. "He is handsomeeee. He is gooooofy. He is sillyyyyy. He is funnyyyy." Good use of his mental thesaurus there. 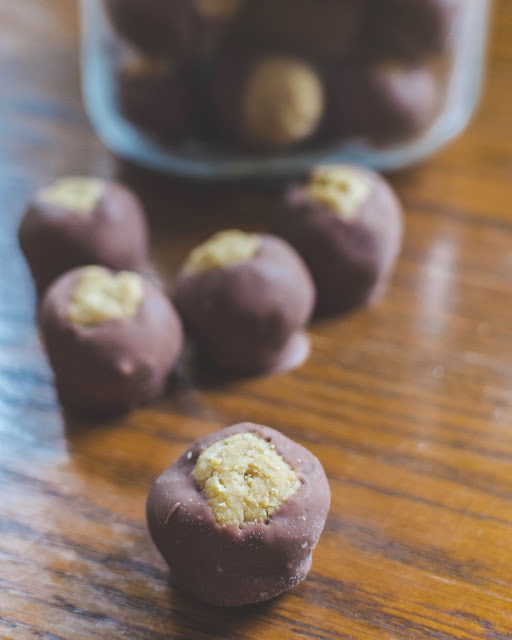 I could similarly, though much less eloquently, sing the praises of these truffles with a string of adjectives, but I think any combination of chocolate + peanut butter naturally speaks for itself. These are great DIY food gifts (you can see I gifted this particular set! 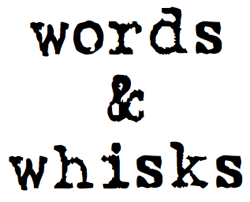 ), and, as I get ready for the holiday season myself, I plan on sharing similar recipes and DIYs, so get ready! P.S. These make a perfect day-to-day treat; you don't have to just save them for gift giving! As if I had to tell you that. In the bowl of an electric mixer or a large bowl, beat the cream cheese for 1 minute until smooth and fluffy. Add the peanut butter, and beat the cream cheese together with the peanut butter until smooth. Add the graham cracker crumbs and mix on low speed until combined. Dump in the powdered sugar and the butter. Mix until all ingredients are well combined; the mixture will be relatively dry, but should be moist enough to stick together when pressed. Add a tablespoon more butter if your mixture is not sticking together. 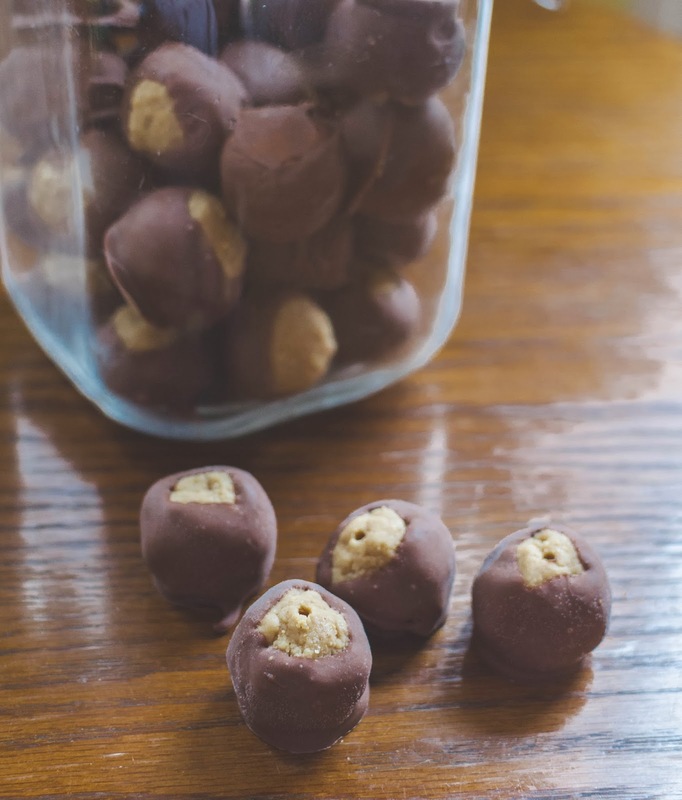 Using a cookie scoop or a tablespoon, scoop out tablespoon-sized balls of peanut butter. Use your hands to mold them into a sphere before setting on a cookie sheet that is lined with parchment paper. Once all the balls are on the parchment paper, freeze for about 15 minutes. 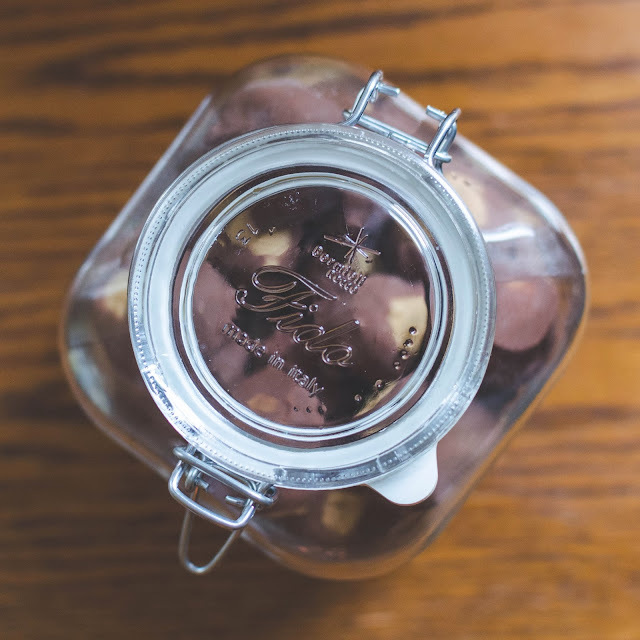 When you are ready to coat the peanut butter balls in chocolate, dump the chocolate with the shortening into a microwave safe bowl. Microwave in 30-second increments, being sure to stir after each 30 second increment. Do this until all the chocolate has melted, being careful not to burn the chocolate. Alternatively, you can use the double-boiler method to melt the chocolate. 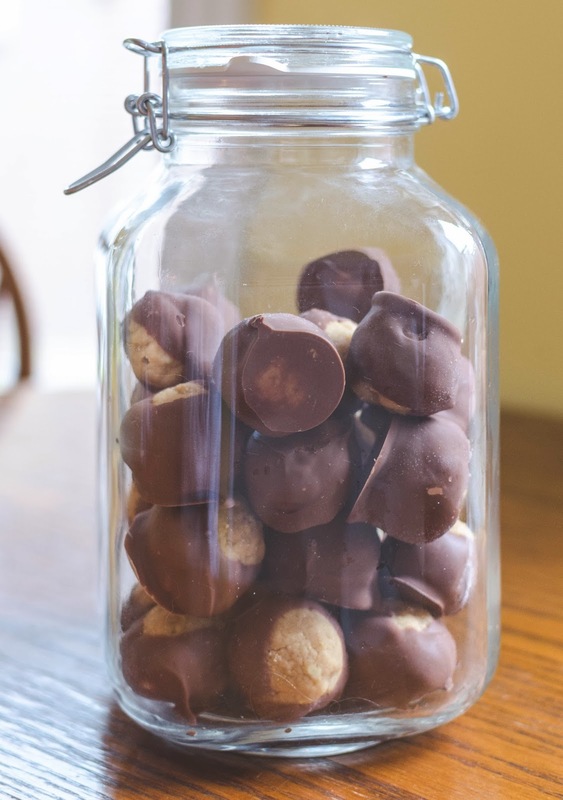 Using a toothpick or wooden skewer, dip each ball of peanut butter in the chocolate. Roll it around gently until you leave only the top part of the "buckeye"exposed. Place coated peanut butter ball back on the parchment paper. Repeat this step until all the peanut butter balls have been covered. Be sure not to set the balls so that they are touching each other, as this may cause them to stick together when the chocolate solidifies. Refrigerate for at least 30 minutes so that the candies can set before serving them. Once the chocolate is solid, you can simply use your index finger to smooth over the mark made by the toothpick or skewer.